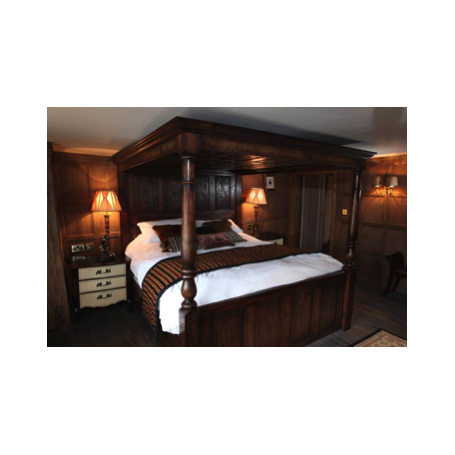 The Crown Inn is proud to present eight sumptuously appointed rooms all refurbished to a very high standard. Without doubt some of the finest accommodation near Winchester, the stylish rooms – each named after French ships or French Admirals in a gentle nod to our rich history – have been refurbished to standards seldom associated with traditional inns. Large and comfortable room in a city centre Georgian house with stunning original features. A wonderful family campsite in the heart of Hampshire with excellent clean facilities, fire pits and plenty of space. One bedroom flat close to the historic centre of Winchester, with the advantage of secure parking on site. The Annexe is a modern, ground floor, spacious self contained flat attached to the owners bungalow with its own front door. Orchard House is situated in the peaceful village of Twyford which has three pubs within walking distance all providing good food. The Old Vine is a beautifully restored Grade II listed 18th-century inn in the heart of historic Winchester. No 5 Bridge Street boasts a spacious restaurant, chef’s open-plan kitchen-dining-room, private dining/meeting room for 16 and 6 boutique en suite guest rooms upstairs. Comfortable, spacious detached house two miles from city centre and very close to open countryside. Quiet, comfortable and spacious luxury accommodation in the heart of St Cross. Central B&B overlooking Orams Arbour. This pretty Victorian house is within easy walking distance of the city centre, railway station, university, law courts and hospital. Magdalen House is located in the city centre with free on-site parking. The two first floor bedrooms offer views towards the Cathedral and Guildhall. Hidden in an historic corner of Winchester stands The King Alfred pub. Here you will find a warm welcome and top quality accommodation in a peaceful location away from the bustle of the city. The very first Hotel du Vin is housed in the fine architecture of one of central Winchester's most important Georgian buildings dating back to 1715. The four star Holiday Inn hotel in Winchester is the perfect place to stay, whether it be business, leisure or with the family. Hardy House is a wing of a Victorian mansion, close to the park and Winchester viewpoint. A beautifully refurbished 19th century Victorian building, Giffard House is the perfect place to stay if you want a stunning, historical setting and a welcoming experience. Dairy Cottage is located at Cowgrove Farm, Ropley and is a four star self-catering cottage located in the heart of the Hampshire countryside. Escape to a luxury self catering woodland cabin in Blackwood Forest near Micheldever. A self catering apartment adjoining an Edwardian family home with lovely country views on the north west edge of historic Winchester. This delightful single storey building has been converted from the former dairy into a lovely holiday accommodation. Serving award winning food in the beautiful village of Droxford. Create memories for a lifetime with Mulberry Holiday Cottages! Marwell Hotel looks different to any hotel you've visited in the UK. A relaxing retreat, perfect for family and friends who want to be together. You'll receive a warm welcome at The Brick House B&B in Cheriton. Five yurts and one canvas-roofed rustic cabin nestle within one hundred acres of ancient woodland. A Victorian Gothic House in the heart of historic Winchester. Beautifully restored, maintaining many original features. Award-winning, five star, Norwegian log cabins beautifully set in the centre of South Winchester Golf Club. Sparsholt offers a range of accommodation for both business and leisure purposes. St John's Croft Bed & Breakfast is a Grade II* listed Queen Anne Town House situated in a quiet elevated position within a conservation area and near the centre of Winchester. This Grade II listed building offers 22 well appointed en-suite bedrooms. “Glamping” at Two Hoots Campsite, Eco Friendly Camping Pods & Shepherds Huts with King-size beds, TV/DVD. Fully insulated and open all year round. The University has two campuses which offer a combination of either traditional and elegant or modern and striking. If you're looking for quality and comfort in a warm and inviting setting then look no further than the Wykeham Arms. The unique Watercress Lodges & Campsite is a fantastic new self-catering holiday retreat overlooking the South Downs. Winchester Holiday Homes has been providing self-catered and B&B accommodation in the Winchester area for over ten years. The hotel offers a perfect base for both business and leisure, with 96 tastefully furnished en-suite bedrooms and suites. A unique building originally a private house, it became a Bishop's residence and later a convent and for the past 150 years a hotel. Located just two miles from the city centre, Windy Ridge offers guests a comfortable stay in this pleasant well equipped house. Meon Valley Marriott Hotel & Country Club greets visitors with exceptional luxury and impeccable service. Rookesbury Park Caravan Club Site is splendidly set in tranquil parkland. A charming 17th century William and Mary house standing elegantly in 63 acres of Hampshire parkland. A contemporary four star hotel ideally situated in the heart of the ancient city of Winchester. A Regency style family home situated in the quiet area of St Cross in Southern Winchester. A centrally located town house within a short walk from the high street and city centre attractions. Delightful Victorian cottage with many original features. 1 Abbotts Court Mews is a two bedroom luxury apartment which can accommodate up to five people.